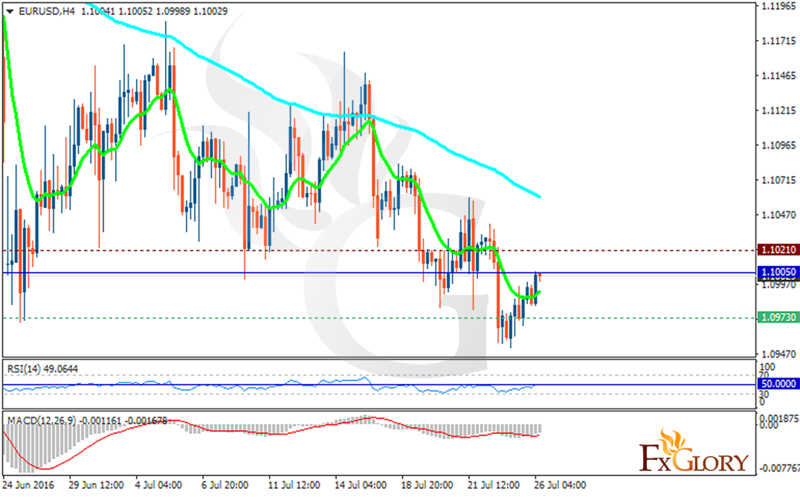 Although German statistics left positive impact on EUR, EURUSD is still moving in low ranges. On the other hand the Fed meeting is supporting USD as well. The support lies at 1.09730 with resistance at 1.10210 which the weekly pivot point has been located in between of these lines at 1.10050. The EMA of 10 is moving below the EMA of 100 which indicates the recent price fall. The RSI is moving below the 50 level and the MACD indicator is in negative territory. Short positions are recommended with the target at 1.0900.